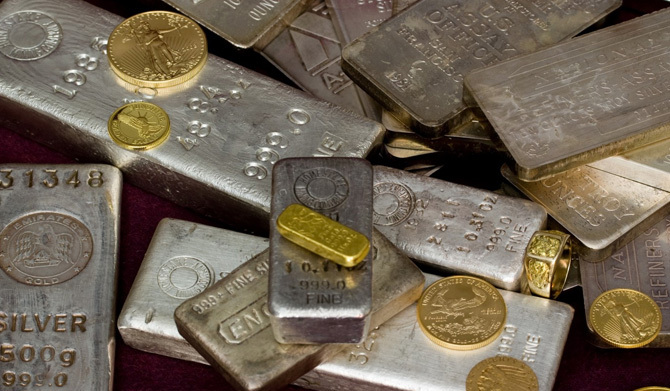 Bullion is Gold, Silver, Platinum, or Palladium in the form of bars, coins, wafers or ingots - and is historically one of the oldest forms of money on earth. The bar form carries a serial number and stamp of a recognized Hallmark Grade refiner. Bullion is most commonly acquired in 1 ounce coin and bar form, which is the most liquid and widely recognized. Prices of gold and silver bullion products are based on international market rates which vary daily, as well as supply and demand. You cannot buy silver and gold bullion for the same price that it trades on paper. The price of bullion products includes production, transportation and distribution costs.